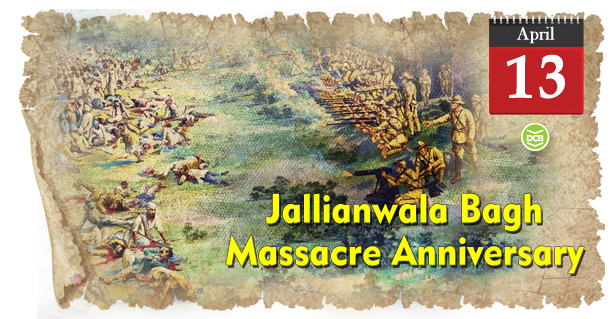 It was on this day a hundred years ago, Brigadier General Reginald Dyer, commanding 50 Gurkha and Baluchi riflemen to fire on a crowd that had gathered at Jallianwala Bagh in Amritsar for celebrating Baisakhi festival. Few days before the day of the festival had been of unrest and violence. After World War I the increased number of dead, inflation, heavy prices were causing unrest in the country as it affected the people of India. On the wake of revolutionary conspiracies, Justice Rowlatt commission had recommended the suspension of civil liberties. It was an attempt to prevent nationalist agitation that had risen after the Rowlatt Commission’s recommendations. But Gandhiji had gathered enough support by then to retaliate against the proposed Act. This triggered the British government had decided to place most of Punjab under martial law. On the 13th, though the entire assembly was peaceful, Colonel Dyer and about 90 soldiers arrived at about 04:30 PM at the Bagh and sealed off the only exit. Without giving any warning, the troops opened fire indiscriminately on the crowd. Everyone ran helter-skelter, but there was no escape. Unable to escape, people tried to climb the walls of the park but failed. Many jumped in the only well inside the Bagh to save themselves from the British bullets. It was later reported that 120 bodies were taken out from the well. Many others were trampled to death in that confined space. The firing was ceased only after the entire ammunition was exhausted. According to the official report, an estimated 379 people were killed, and about 1,200 more were injured. The massacre was condemned as a monstrous event by Winston Churchill. This cowardly act by the British Government triggered the civil disobedience movement, Rabindranath Tagore asked the Viceroy to be relieved his knighthood, the freedom struggle gained momentum with the events that followed.